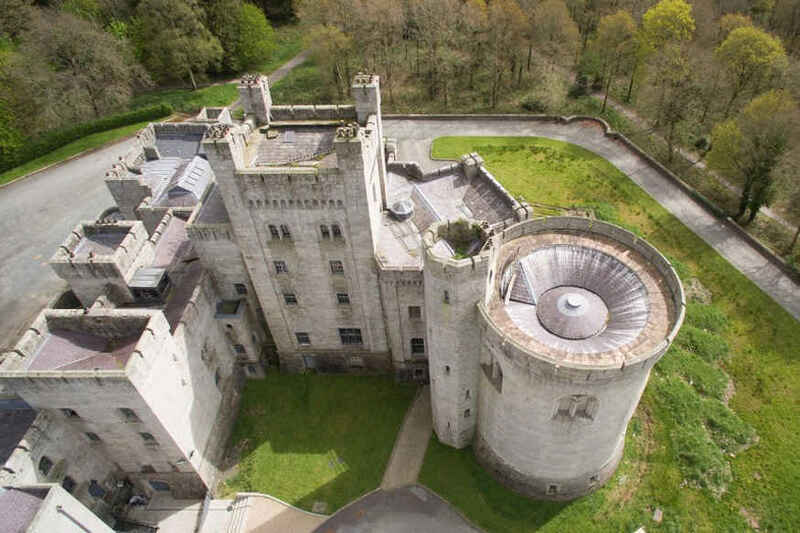 Part of Gosford Castle, which was used as a location in the third season of HBO's Game of Thrones, is up for sale. Six apartments in the historic building, located near the village of Markethill in Northern Ireland, can be bought for £500,000, approximately €563,000. [post_ads]Built in the mid-19th century by architect Thomas Hopper, the Norman revival-style building's exterior was used as a location for the shooting of the third season of HBO's hit series. Now a substantial portion of the historic residence of the Earls of Gosford has been put up for sale by Maison Real Estate. It has been partially developed into six apartments with an average size of 325 square meters, some of which have rooftop gardens. In all there are 15+ bedrooms, 10 bathrooms and 10 reception rooms. After World War II, during which it was used to house troops and prisoners of war, Gosford Castle was sold to the Ministry of Agriculture before being turned into a hotel in 1983. Since 2006, the property has been extensively renovated with a view to converting the building into luxury apartments which preserve its historic features such as staircases and vaulted ceilings.